Most athletes use pre-workout supplements to help them in a number of ways. Other people who are simply interested in exercising to lose weight, maintain their existing physique, or just to get a little bit of extra activity may wonder whether or not there are good reasons to use these supplements. It is important to realize that they can be extremely helpful in providing the nutritional support needed by the body. This can make your routines more effective no matter what type of goal is sought. However, you need to know the benefits and how to supplement properly. 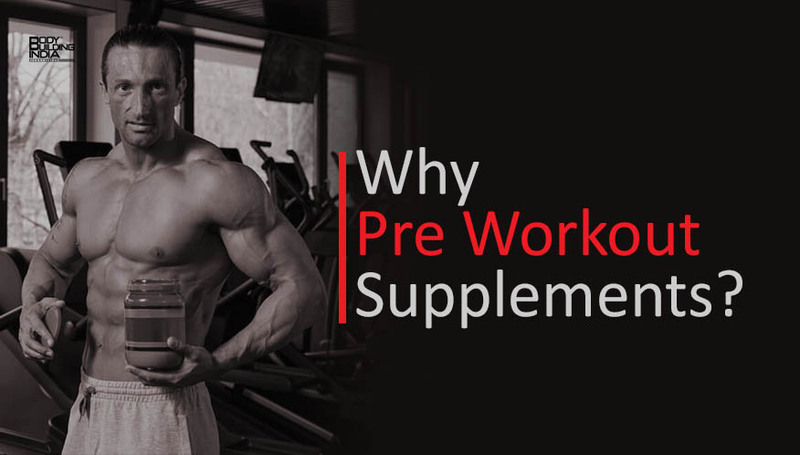 There are also a number of purposes and benefits to using pre-workout supplements. The most common of these is the ability to increase energy levels. This can help you to power through even the most challenging and intense routines along with increasing stamina and endurance. Using the right type of supplements can also enhance muscle pumps and even put the body in an excellent position to recover faster and build more muscle effectively. They can also help to increase the levels of key hormones like testosterone and even may be able to improve mental focus and concentration. Muscle Pharm Assault is one of the most popular pre-workout supplements on the market today. Not only does this have a number of ingredients to help increase your energy levels, it also offers a whole host of additional benefits. The extra energy is not only immediate, but also long lasting to help improve your stamina. They also include a muscle explosion nitric oxide matrix. These ingredients, which include Beta Alanine, L-Arginine, Citrulline Malate, Glycine, and more, have been shown to help provide nutrients directly to the working muscles. This assists in the refomrulation and supply of ATP within the muscle cells. In addition to helping the muscles become stronger, they will also delay the onset of fatigue to help you perform more sets and reps. There are even ingredients in this product to help improve mental energy, focus, and concentration. Medium chain triglycerides, Taurine, and L-Aspartic acid are very helpful in this regard. Together they may to a state known as runners or weight lifters high, where endorphins are flooding the system, making it incredibly easy to focus on the routine and give it your all. BSN NO Xplode 2.0 is another interesting and popular pre-workout supplement designed to offer a long lasting blast of energy and nutritional support. Also known as a training igniter, BSN supplies a scientific blend of ingredients to help the body and muscles become stronger, last longer, and recover faster. The primary ingredient included in this supplement is nitric oxide (hence the NO in the name of this product). It functions as a vasodilator, opening blood vessels and pathways. This also aids in increasing the blood flow and oxygen supply to your muscles. Then, it delivers a number of additional nutrients to the muscles such as Beta Alanine, Arginine, Creatine, and other amino acids. Taking this product will lead to fuller muscles with improved pumps. They will be able to last longer before reaching the state of muscular failure. It also helps to put your muscles and body in a great position to get the recovery process started much faster than would normally be expected. Many users also report feelings mental clarity, focus, and alertness when using this supplement. Citrulline Malate and Beta Alanine combines two of the most effective pre-workout enhancers into a single, easy-to-use and consume formulation. Citrulline Malate is a substance that has consistently demonstrated very positive results. It works by increasing ATP in the bloodstream. ATP is the main source of energy for working muscles, and making more of it available means that you will be able to work longer and harder before fatigue sets in. Another benefit of this ingredient is that it also helps to remove ammonia and lactic acid from the bloodstream. Since these are two of the by products of muscular fatigue, this only strengthens its ability to help enhance the effectiveness of training. Beta Alanine is another non-essential amino acid. It works by helping to increase the level of a substance called carnosine. Carnosine actually helps to buffer and stabilize the pH level of blood, which normally becomes more and more acidic during training due to the release of hydrogen ions. Taken together, these two main ingredients offer a one-two punch to make training more effective. Your muscles will have more energy and be able to last longer before the onset of fatigue. L-Arginine might not be ordinarily thought of as a pre-workout supplement, but it does have a lot of benefits in this regard. This amino acid is thought to possibly be able to stimulate the production of certain growth hormones within the body to help increase muscle building effects. It is also known to help reduce levels of the stress hormone cortisol, which should also help to produce not only a more effective workout, but also lead to improved recovery. Sticking with the theme of recovery for another minute, L-Arginine is involved in the synthesis of proteins. Since proteins are needed by the body to build or re-build muscle tissue, this is also a great ingredient to use for improving recovery times. The best way to use this supplement is by taking a single capsule or two about 30 minutes before bed. While it is generally well-tolerated and effective, it is also possible to build up tolerance. Therefore, this is not something to use on an every day basis; at least one week off each month is recommended. Schizandrol A should be considered as an effective pre-workout supplement. This is the extract of a woody vine that grows in northern China and the far eastern areas of Russia. It is known to increase the levels of nitric oxide in the body (similar to how NO Xplode and Muscle Pharm Assault operate) as well as reducing the amount of cortisol, helping the body to properly adapt to stress like an intense workout program. This supplement may also effect some of the key neurotransmitters within the brain. This not only helps to increase mental focus, concentration, and clarity of thought, but also may even lead to improved motivation and overall energy. The best part of all is that this product is very versatile and can be taken whenever an energy boost is needed. One of the most important things you should look for in a pre-workout supplement is the ability to increase testosterone levels. The anabolic or muscle-building effects of this hormone are well known. As your testosterone levels increase, it is normally much easier to build muscle, train harder, and recover faster. There are a number of supplements and ingredients which can be used pre-workout in order to stimulate an increase in testosterone levels. It is also very important to understand that this should be done naturally. In other words, you would not want to simply use synthetic steroids or direct testosterone injections, since these would ultimately cause natural production to decrease. Instead, something like L-Arginine is excellent at increasing levels naturally without any side effects. Other ideas for producing similar effects include DHEA, D-Aspartic Acid, Mucuna Pruriens, and Tribulus Terrestris. Be sure to look for any of these ingredients in your pre-workout supplement of choice. Reducing muscle pain and fatigue is another important mechanism of action. One of the factors which limits how much exercise that can be performed is your fatigue threshold. Fatigue is normally caused by a build up of lactic acid within the muscle tissue. This lactic acid is produced when the supply of ATP (think of this as direct energy) has been used up. Having a pre-workout supplement for the specific purpose of bringing energy or ATP directly into the muscle cells can help with a reduction in fatigue. As the time until muscular failure is increased, this allows you to add more reps and sets. Of course, this will further tear down the muscle tissue, which is really what training is all about. Most of the pre-workout supplements on the market today will claim to offer increased energy, but make sure that they do this by focusing on ATP production, not just some stimulants that give a quick burst of energy and then go away. Building muscle and also helping to set yourself up for proper recovery is another important consideration when choosing a pre-workout supplement. Having some protein supplied by your initial supplements are very important in this regard. There are a number of pre-workout supplements on the market that offer an adequate supply of protein; especially look for those which include branched chain amino acids since they are more effective and faster acting than many other forms. There are a number of effective pre-workout supplements that will enhance muscle building efforts. For example, creatine can help to increase muscle cell volume, glycogen synthesis, and improve high intensity muscular performance. Beta Alanine also offers some nice muscle building effects. Many weight lifters and other athletes would even suggest using a good Whey Protein formulation to help enhance muscle building efforts. Enhancing concentration and mental focus can lead to some incredibly effective workouts. Many people who neglect to take pre-workout supplements end up mentally drained after a strenuous routine. While this is a normal course of action, it can easily be avoided with the right supplements beforehand. D-Aspartic Acid, for example, is known to have some effect upon certain neurotransmitters within the brain that influence memory, learning and overall cognitive function. This can improve alertness, focus and concentration, leading to a more productive workout. L-Glutamine is another supplement that works in a similar fashion. This one also crosses the blood-brain barrier and influences some of the neurotransmitters in the brain. Pre-workout supplements can help to improve performance no matter what type of athlete you are and no matter what type of routine you use. Yes, this even applies to all the ‘weekend warriors’ out there. It is helpful to understand what some of the more commonly used supplements actually do before making a decision as to which ones to try. Also consider the specific functions or mechanisms of action used. Finally, do not be afraid to consider putting together a stack in order to ensure that you receive all the nutritional support your body needs to have an incredibly effective workout.